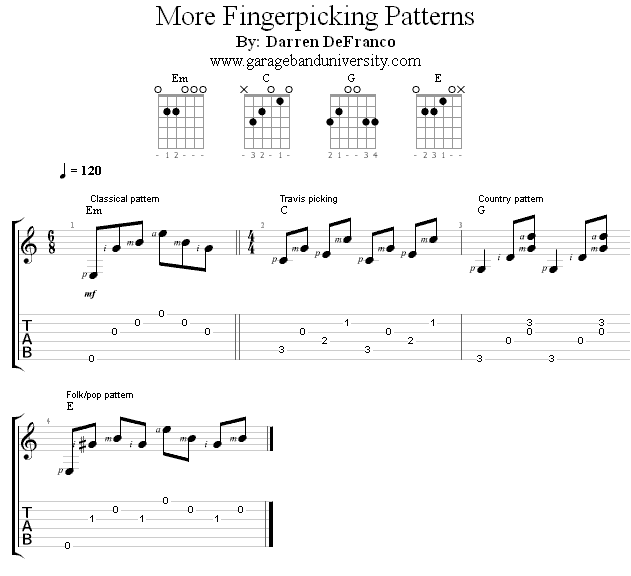 Today we’re going to show you some of the must know, classic fingerpicking patterns used in a number of styles and songs. Remember, take it super slow and work for accuracy. You want to get to the point where you can play these patterns subconsciously, and you’ll only get there with slow practice. Learn and memorize these patterns, then try applying each one to a variety of chords. Try out the basic open chords: C, A, G, E, and D.